Ibrox Noise: Does Stevie Ger REALLY have this decision to make? Does Stevie Ger REALLY have this decision to make? Bears of a certain vintage were spoiled up till Allan McGregor when it came to the number one. Only Lionel Letizi spoiled the copybook otherwise, for ever since the days of Chris Woods Rangers have been absolutely blessed with truly remarkable goalkeepers. From the incredible Andy Goram to the handy Lionel Charbonnier before Stefan Klos took over and then vied with the very different but extremely capable Ronald Watterreus. When PLG brought Letizi in, he was the first dud since 1986 – he lasted four months before Allan McGregor made that slot his own till it all went horribly wrong and we ended up with Neil Alexander, Cammy Bell and a whole litany of horrifically average or worse keepers for six+ years. Does Wes Foderingham retain his place, or has Steven Gerrard signed his number one in McGregor? On the face of it, it’s a non question. 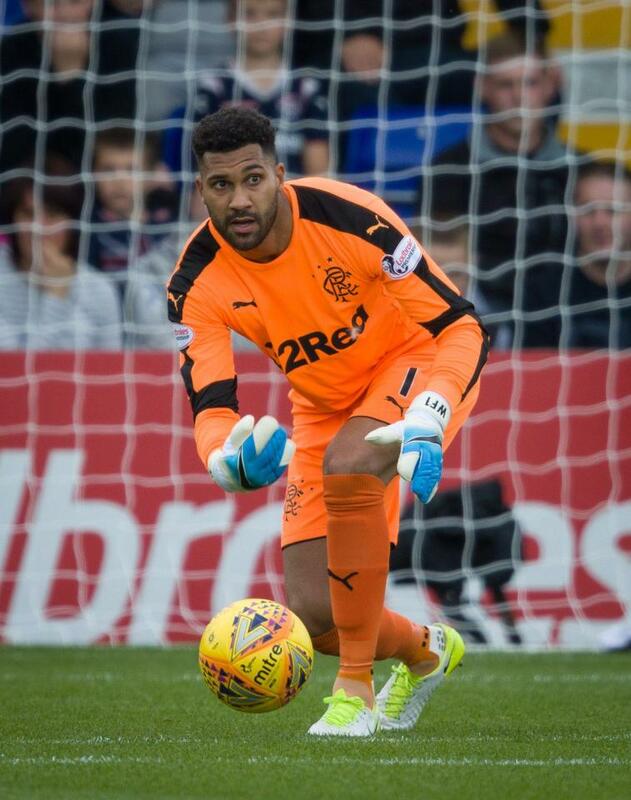 Fans who defended Foderingham religiously when we argued for Jak Alnwick went very quiet following the ex-Port Vale’s displays towards the end of the season, ending the debate pretty quickly about who was the better stopper of both. But Rangers have signed a real top goalkeeper now. Does Wes have any kind of case to retain his jersey? Is he now number two? Is he surplus and Alnwick is the deputy? For us at Ibrox Noise it’s a non question. Allan McGregor is the best goalkeeper in the country, and the best Scottish goalkeeper. There’s not even a debate about this. Even Celtic fans in their most delusional states would attest that McGregor is better than anything they have to offer. And yet why do we feel like there’s still some Staunch Loyal who would advocate a case for Foderingham? Despite how underwhelming he has been during his entire time in Govan, some fans, who would probably want Jason Holt over Greg Docherty too, would still prefer him in. Who do you want in goal – McGregor, Wes or Jak? Shagger & Jack fighting for the Orange shirt. Decent money to be had for Fods, would pay for a player coming in and were still progressing. Singing aff the same sheet Robbie mate! Any word on the CB’s as that’s a priority? A bid around 2.2m should acquire Goldson's services. Skertl agreed on a handshake 2.7m. Bartley desperate to get back, don't know if he's in Stevies plans. That 3 would certainly shore up the defence. McBurnie same as Bartley desperate to join. If i hear anything else I'll let U know squire!! Easy decision. Always play your best players and shagger is off the scale compared to Fod and Jak. i agree with Billy McKie. I do however have some sympathy for Fod as he has had some dross defending in front of him to cope with. I will always remember his celebration in the Cup semi against them as Rogic? penalty went into space. Has to be McGregor.........but you are a wee bit harsh with your assessment of Neil Alexander. I am not convinced yet, but time will tell when I see our team in the pre season friendlies,, a lot of dead wood still to go,, early days I know,, but won't raise my hopes until I see a vast improvement on the park!! I've absolutely nothing against McGregor but the plaudits being handed out are astonishing. I wouldn't have signed him (age) unless there's a business case that says there's decent money to be had for Fod and we can pick up a proven replacement for no fee and the same wages. But according to the post, and some of the comments, Fod is crap - so how can he be worth decent money? Underwhelming in his entire time here? its all about opinions and I don't agree with that one. I am very much with you on that BoltonBlue!